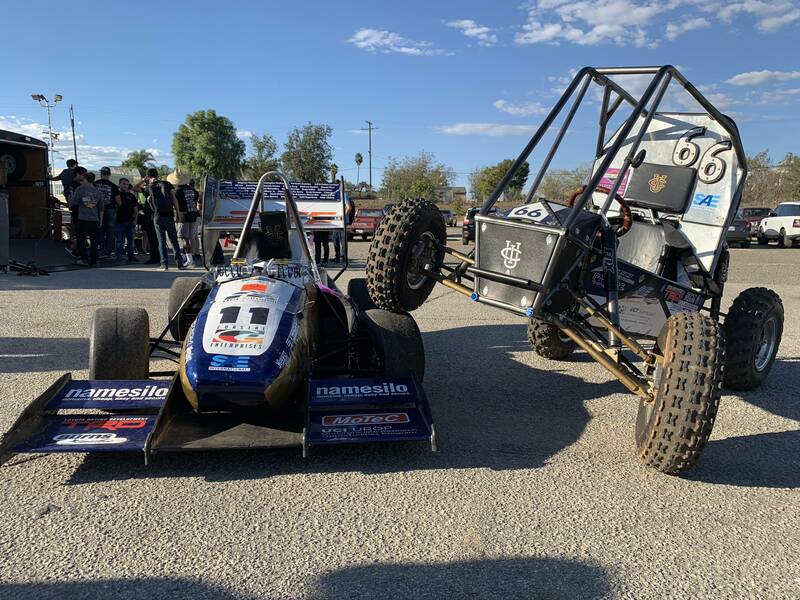 UC Irvine Racecar is off to a fantastic start for the 2018-2019 school year! On October 20, 2018, our team of engineers were able to compete in the first ever Socal Shootout. Universities that gathered at Adams Motorsport Park in Riverside, CA included: UC Irvine, UC Riverside, CSU Sacramento, California Baptist University, Cal Poly Pomona and CSU Fullerton. This is the first friendly exhibition for universities of Southern California to collaborate with one another, yet also compete for respect and reputation; the team with the best times around the track would also take home a prize of $1,000. Socal Shootout was a time-trial event. The representing vehicles from each school would compete to record the most laps in the least amount of time. Our driver for internal combustion, Matt McMurry, pushed Phantom to the limit averaging a lap time of 47.325 seconds in the main heat; Matt’s fastest lap, and the fastest lap around the track, on the day was 46.48 seconds. 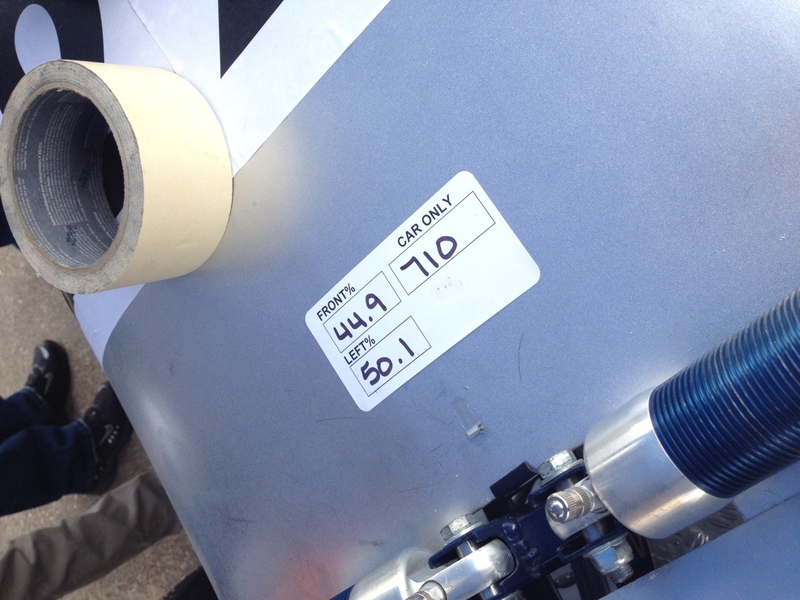 The average lap time for the main heat of all other teams that competed was 59.98 seconds. Adams Motorsport Park is a unique course with many straight aways; which is unusual to the courses we normally race; Phantom was able to reach speeds of 86+ mph. 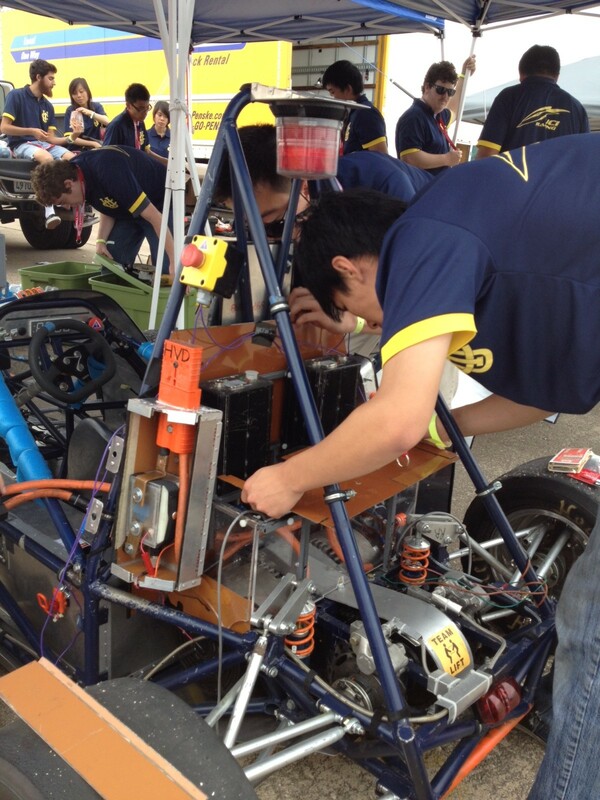 With some of the fastest times around the track, UCI internal combustion placed first with Cal Baptist and CSU Fullerton placing second and third. By the end of the day, our off-road baja vehicle, Marauder, was able to exhibit a show taking times around the motorcycle track that is also at Adams Motorsport Park. No other baja team showed up from the opposing universities and it was a good opportunity to exercise Marauder’s capabilities. All in all, Socal Shootout has set an amazing precedent for this years UCI race team!